“Asset wise, she was one of the richest women in Barbados. Why was she living in such poverty? At one time she did not even have running water. Many areas of the house were off-limits due to termite damage to the floor and structure. On August 10, 2007, Barbados diplomat Peter Simmons (the brother of Chief Justice SIR David Simmons) spoke with derision about Muriel Deane in a telephone conversation that was secretly tape-recorded by the person he was talking with. According to documents filed in an international lawsuit, Peter Simmons, his brother Chief Justice SIR David Simmons, lawyer Clyde Turney and a host of other Barbados big-ups are or were involved in a conspiracy to profit from various fraudulent schemes surrounding Kingsland Estates – a company that owns over 1100 acres of prime Barbados lands. Muriel Deane was left 1/7th of Kingsland Estates, yet by the time a few crooked family members conspired with the corrupt vultures in the Barbados government and legal profession, she lived in poverty and existed only upon the charity of others. The political, business and legal community elites who operate in this country with such disdain for the rule of law targeted the wealth of Kingland Estates when it passed into the hands of naive, trusting common folk. To this day, the elites who have been involved in the schemes and frauds characterize the ongoing legal battles surrounding Kingsland Estates as a “family dispute”. They use this term “family dispute” to conceal the fact that there is a BILLION US$ DOLLARS at stake and none of the big-ups who are accused of fraud have any relation at all to any of the Kingsland Estates family. Keltruth Blog is apparently operated by the family of Marjorie Knox – a sister of Muriel Deane who was called home in 2003. Naturally, the blog has many articles about the whole Kingsland affair. It is has an important message about the corruption of our system, but sometimes it gets into such legal details that we lose interest. But our interest is re-kindled when some simple truths shine through one of their articles as it has with the current offering. The truth is this: A couple of old ladies were left with hundreds of millions of dollars of prime Barbados lands – and the vultures and crooks in the corrupt legal, political and business communities of Barbados couldn’t ignore the lure of big money in the hands of the weak and naive. The list of the people involved reads like a who’s who of Barbados society. What happened and continues to happen with Kingsland Estates is an indictment of a system where the rule of law is whatever the elites say it is at the moment… and where there is no law that prohibits government officials from profiting from their offices. 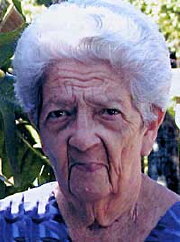 Muriel Deane died in 2003 – one of the richest women in Barbados, yet not able to find two coins to rub together. That is what happens when corruption infects the government and the justice system. That is what happens when the very courts that are supposed to provide justice are run by a former Attorney General who is a defendant in a case before his own judges! Chief Justice SIR David Simmons was never a judge before his good friend Prime Minister Owen Arthur appointed him as the top judge on the island. Can anyone find justice in Barbados when our Chief Justice is a political hack?